Hi everyone! 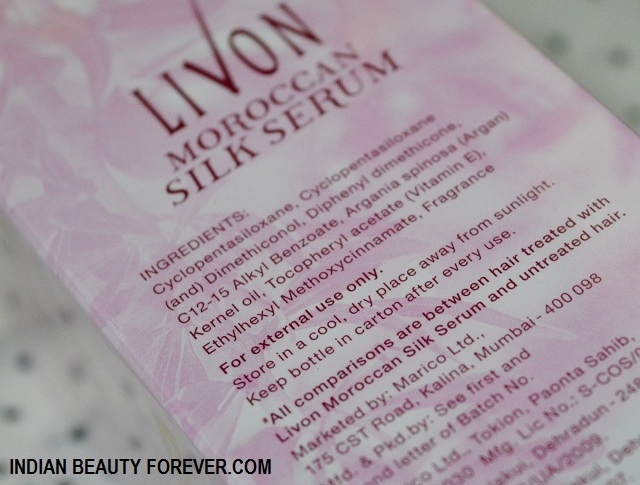 I posted a couple of days ago, I attended Livon’s Moroccan Silk Serum launch event with the bloggers. Long ago, the hair serum or detangling potions, Livon was the pioneer, I still remember, I used to get that small transparent pink labelled bottle. After using that I used to touch my smoother hair. I was hooked on to such products after that and have tried so many from the other brands which I was exposed to later on. 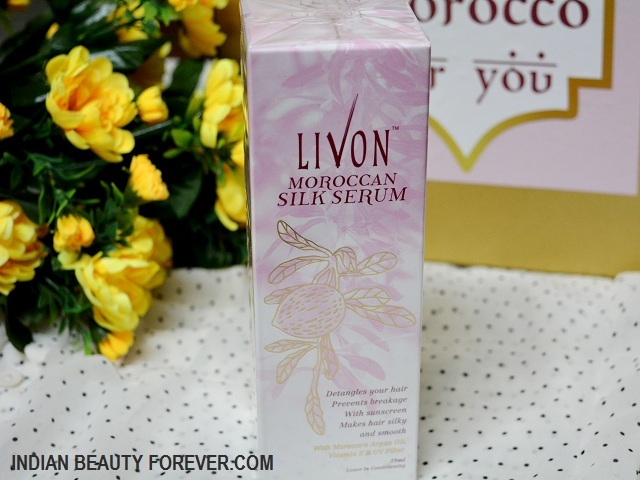 Now, recently Livon has given has Moroccan silk serum which is infused with the Argan oil. 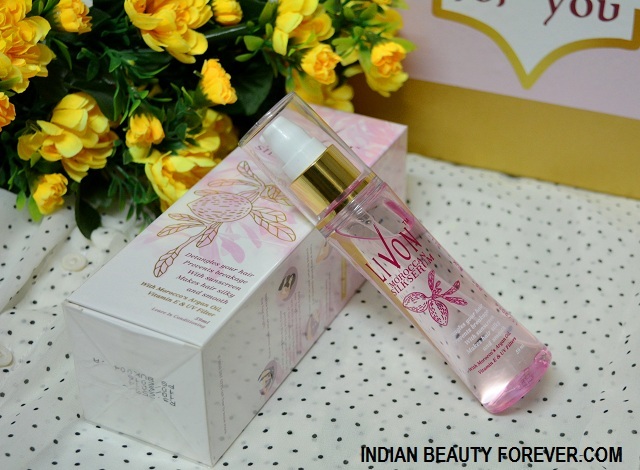 Price: Livon Moroccan Silk Serum is priced for 255 Rupees for 59ml. Shampoo your hair and towel-dry them before the serum application. Take around 2 pumps of the silk serum on to your palm. Gently rub and Start applying from the middle section of your hair, then work down the bottom of the hair and finally on the top hairs. Moroccan Argan Oil, the exotic ingredient native only to Morocco is the new international rage in hair care with its multiple benefits. 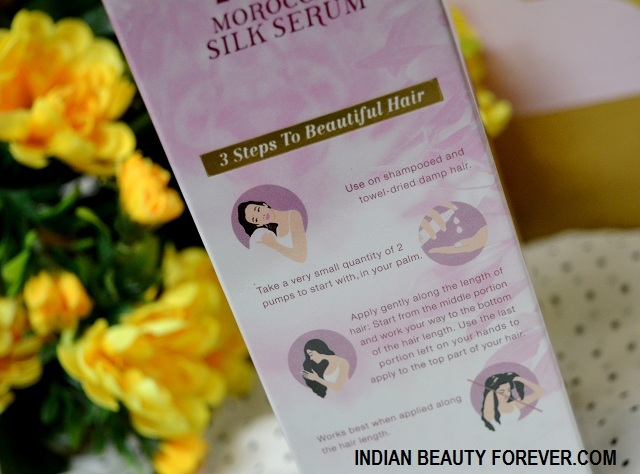 Now, Livon brings to you the goodness of Moroccan Argan Oil with the benefits of hair serum. Ideal for all hair types, it detangles hair & prevents its breakage giving you smooth, silky, free-flowing hair. 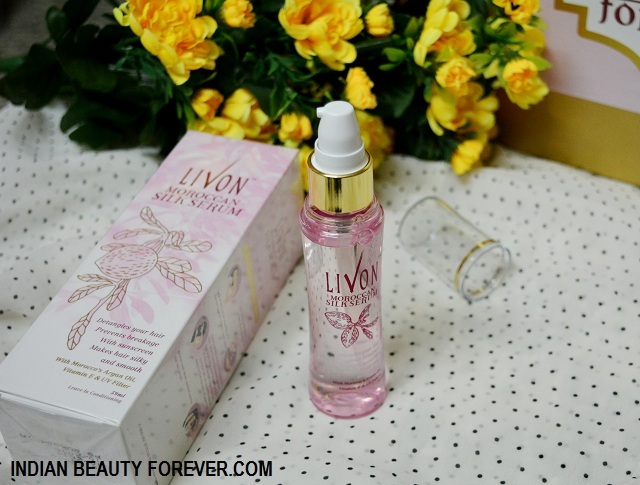 Livon Moroccan Silk Serum is packaged in a transparent pink hued slim bottle which has a gold and white pump. The bottle looks good and enticing. Can be easily carried on a small bag too. The serum has a floral sweet scent which is quite nice as once applied it leaves a mild floral fragrance in the hair. The serum isn’t sticky rather is quite light weight like the way hairs serums are. For my length of hair, I usually take only 2 pumps of this Livon Moroccan Silk serum and starting from the dry ends, I would go up till the top hair. It spreads quite easily and gives this silky smoother feeling while I touch my hair. It really does make my hair manageable and silkier. Frizz is reduced up to some extent and also the dryness of the hair is also taken care of though on the same note, this alone will not be very helpful for extra dry hair, other than that this product alone can be a silky hair care tip in itself. I like hair serums as they are quick and easy to detangle the hair therefore less hair breakage is there. The Argan oil in this hair serum is what imparts it with the features like smoothening and detangles the tangled hair. I mostly use it once my shampooed hair are damp and once more time on my dry hair when I am leaving the house, just to add some subtle shine and to tame the frizz. Overall, I liked the product, it is very affordable which will make a lot of people use it. There is one more trial pack size available for this silk serum that is I think around 179 Rupees, if I am not wrong. Take: I liked Livon Silk hair Serum with Moroccan’s Argan oil. It’s is just like the livon’s original product but new and improved with the added features like Argan oil, Sunscreens that prevents with UV rays and Vitamin E. I will recommend it to all of you.